Germany's all-time leading goalscorer Miroslav Klose has been named new coach of the Bayern Munich U17s, the club have confirmed. Klose, who is currently part of Joachim Löw's coaching team with Germany, will take over from current U17s boss Holger Seitz after the 2018 World Cup. He has signed a two-year deal through to summer 2020. 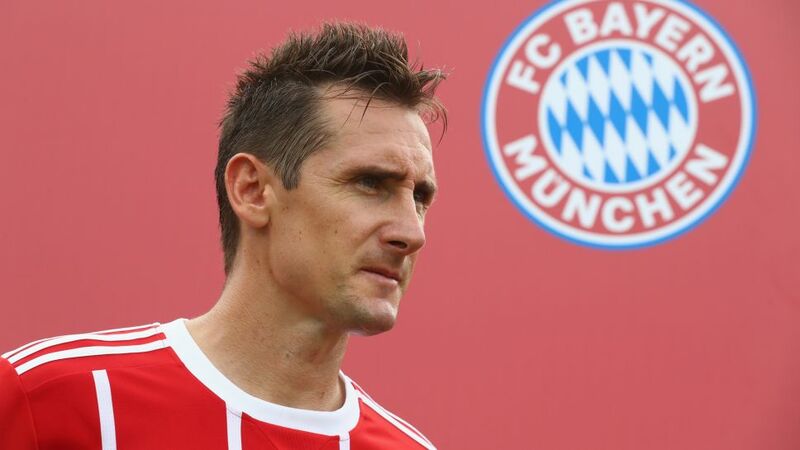 "I'm really looking forward to the role at Bayern's academy and I'll give everything I can to justify the faith placed in to me to lead the development of these young players," 39-year-old Klose said. After spells with Kaiserslautern and Werder Bremen, Klose played for Bayern between 2007 and 2011. He won a Bundesliga and DFB Cup double in 2007/08 and 2009/10, but - despite a Bundesliga career that yielded 121 goals in 307 appearances - is arguably best known for his exploits on the international stage. The Poland-born striker scored 71 goals in 137 games for Germany and is the record scorer at World Cup finals with 16 goals spread over four tournaments. He retired from international football after winning the 2014 World Cup, but continued to play at club level with Serie A side Lazio for a further two years. Klose is the latest in a growing line of ex-players to return to Bayern in a senior capacity. As well as current sporting director Hasan Salihamidzic, incoming head coach Niko Kovac, CEO Karl-Heinz Rummenigge, president Uli Hoeness and honorary president Franz Beckenbauer all represented the club at some stage during their playing careers. "It's our philosophy to tie successful and deserving players to the club," Salihamidzic said. "I'm very happy that Miro Klose wants to pass on some of his immense and invaluable experience to our young talent and, in turn, we'll help further his coaching career."